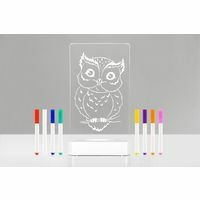 Aloka Colour Me Owl Lamp | Colour and design your own unique night light! 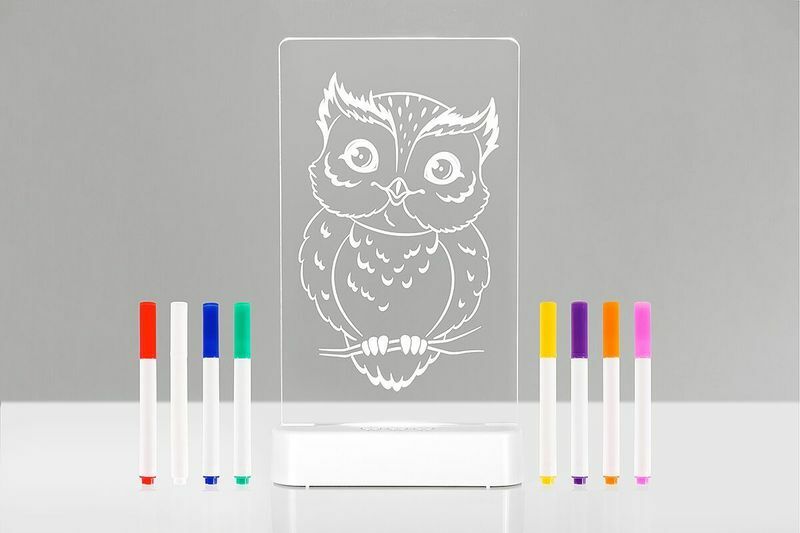 Colour and design your own unique night light! 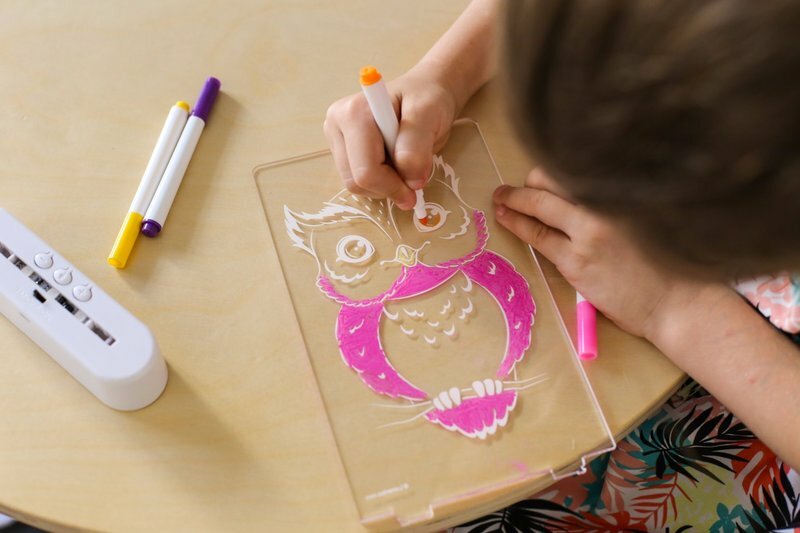 Engage with your children through colour! 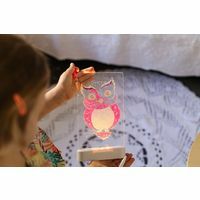 This one-of-a-kind Aloka LED Colour Me Owl Lamp allows you to design your very own owl night light! 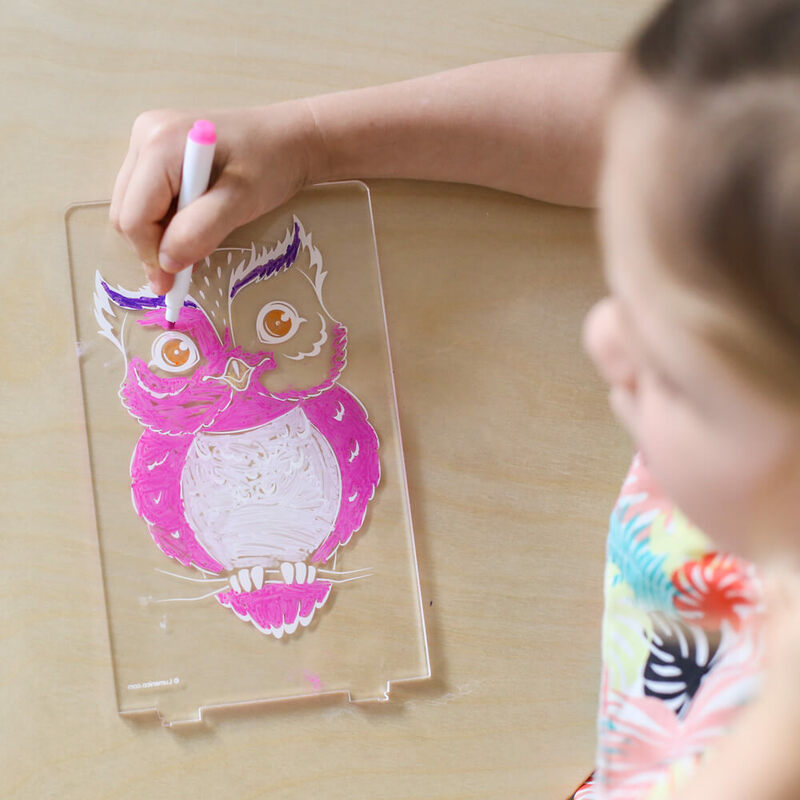 Your pack contains 8 special textas (ideal for block colouring) that will colour in the acrylic design with ease. 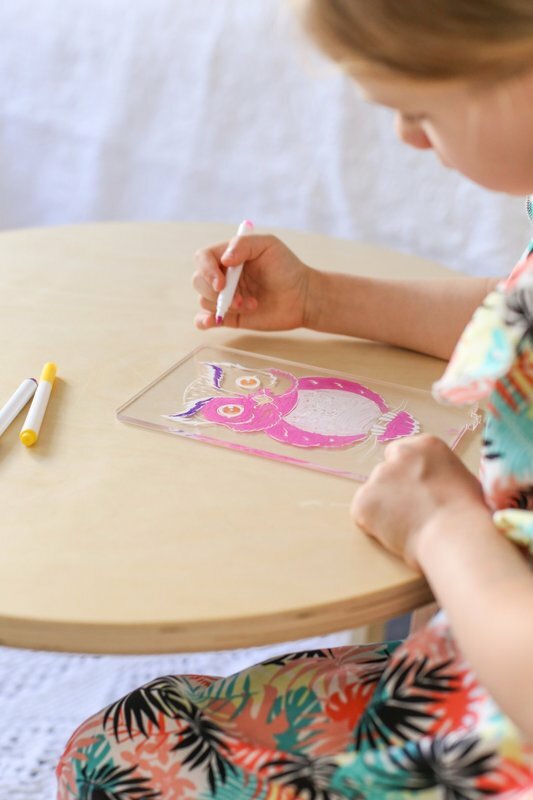 Once your artwork is dry, the texta is non-transferrable to avoid mess, so it won't smudge on your clothes or furniture! What's more, you can use the included micro fibre cleaning cloth to wipe off your design and colour it again and again. It's the perfect addition to your little ones bedroom or nursery, your child will LOVE customising it with their favourite colours! 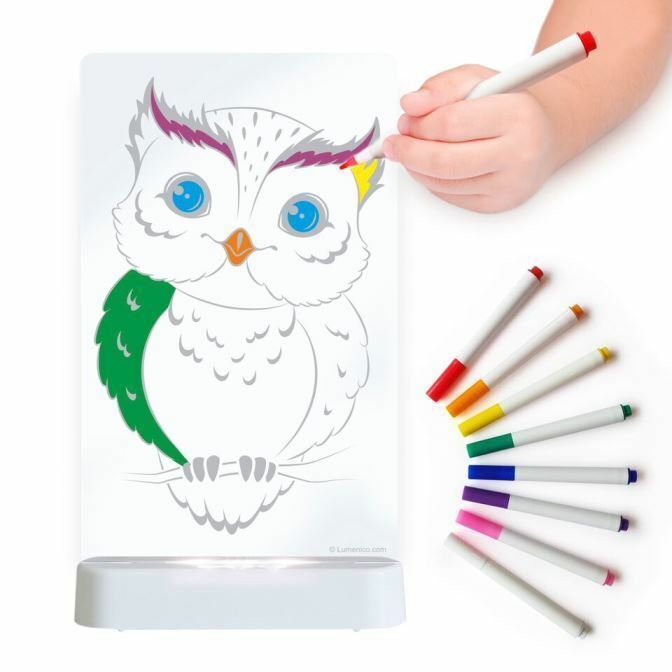 What a unique, interactive and personalisable gift idea that can be powered by battery (3 x AA) or any USB power source (cable included)! Low voltage, no heat, long life LED'S that can be dimmed to help children and their parents get a better nights sleep. An on/off button on the base that controls the colours and brightness of your light. A remote control that lets you change colour, dim each colour, set your light to rainbow function (including warm and cool white), set the timer and enable sleep fade function. Shatterproof acrylic with a 12 month warranty. 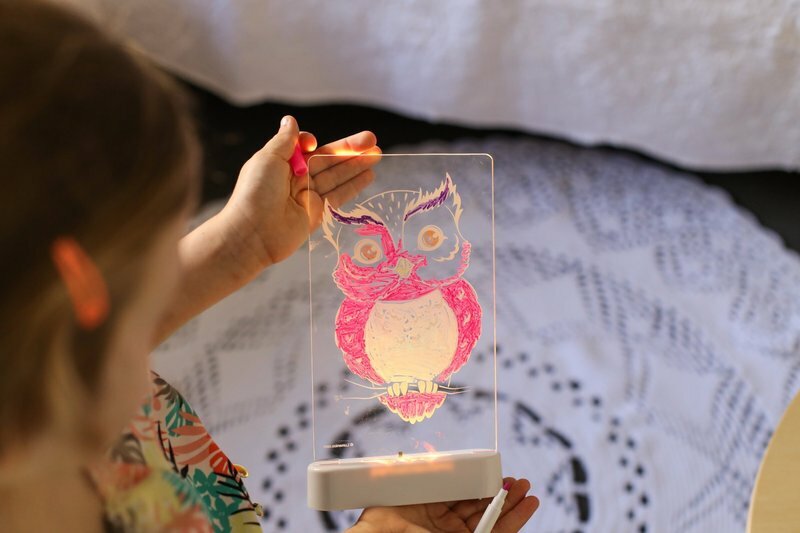 Aloka Sleepy Lights just got a whole lot better! Approximate product dimensions: 22cm high x 15cm wide x 3cm deep (at base).